May 12, 2017  NPR movie critic Bob Mondello reviews The Wall, a film about two American snipers pinned down by an Iraqi sniper, behind a rapidly crumbling wall. May 5, 2017  It was a surprise last time, but now comes volume two of the Marvel superhero team, Guardians of the Galaxy. 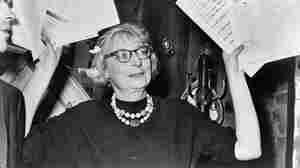 April 21, 2017  Citizen Jane: Battle for the City is a documentary about Jane Jacobs, whose 1961 book The Death and Life of Great American Cities changed urban planning. April 14, 2017  NPR movie critic Bob Mondello reviews a new Richard Gere film for which the title seems to say it all. It's called Norman: The Moderate Rise and Tragic Fall of a New York Fixer. April 7, 2017  Your Name. was the most popular film in the world for the first two months of 2017. 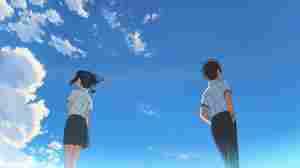 Now, the deeply resonant body-switching anime comes to the U.S.